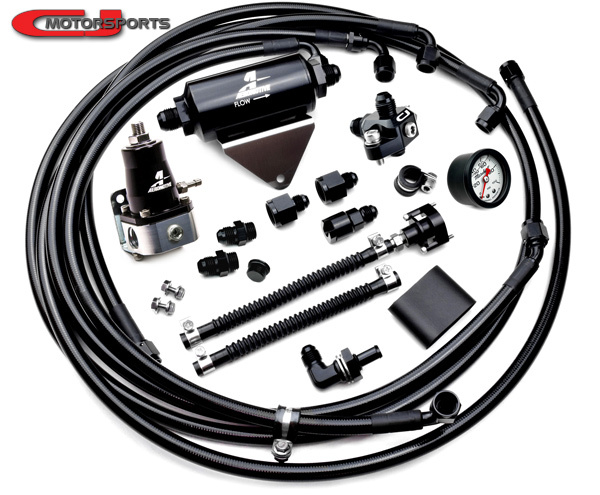 Superseding the popular CJM S1 return fuel system for the 370z & G37, the S1.E kit features a host of updates and improvements. Due to the popularity of E85 among or customers, the system has been entirely reimagined to better accommodate this fuel. For builders seeking the maximum performance from the factory fuel rails, this is our solution. 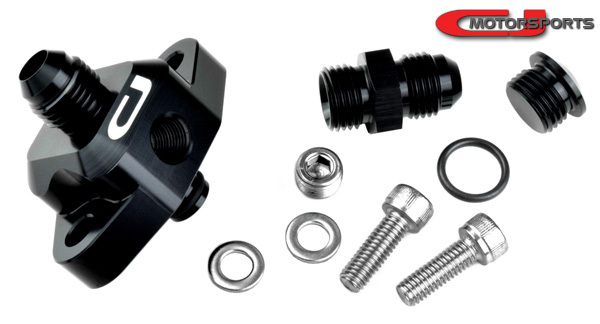 The S1.E plumbing kit is constructed from stainless braided, black PVC coated, PTFE hose with crimped aluminum hose ends. 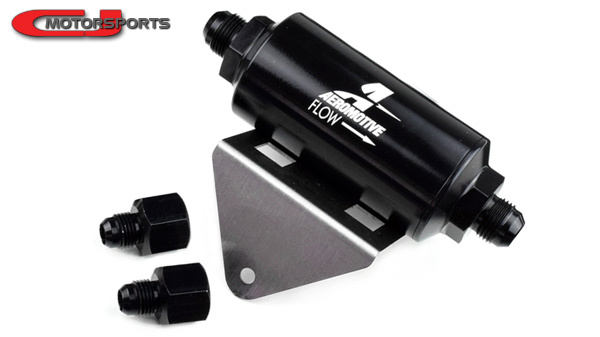 An Aeromotive inline filter and a CJM "no-drill" filter mount is included standard. Hoses in the engine bay are secured to the firewall with included cushion clamps. 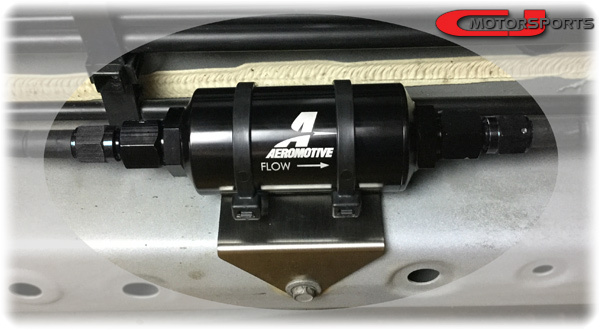 A billet aluminum fitting is also included to adapt the regulator output hose to the original fuel feed pipe, re-purposing it as the return line. 6AN PTFE Hose, Black Coated SS Braid, Filter Outlet to 4-Way Inlet (top). With Cushion Clamp. 6AN PTFE Hose, Black Coated SS Braid, 4-Way Outlet (rear) to Regulator Inlet. The 4-way fitting interfaces with the stock fuel rail inlet tube. Fuel feed is sent in through the top, straight into the rail inlet. The rear port feeds the fuel pressure regulator. There is a 1/8 NPT port on the front for the optional fuel pressure gauge.